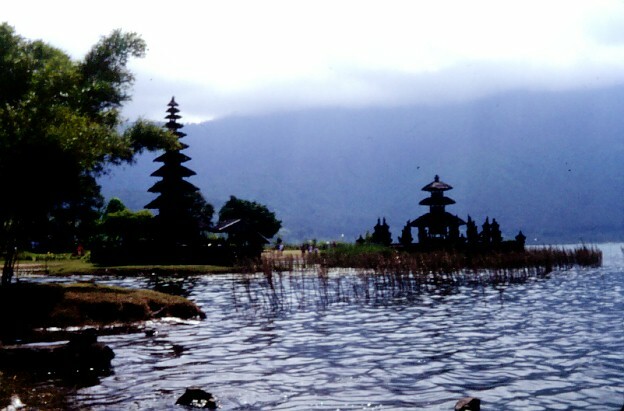 Candi Kuning is the picture-postcard Bali - you see images of the temple towers at the lake at every souvenir shop in Ubud. It's a popular tourist stop, although it's quite a way from the tourist centers in the south of the island - but it is undeniably a beautiful place. 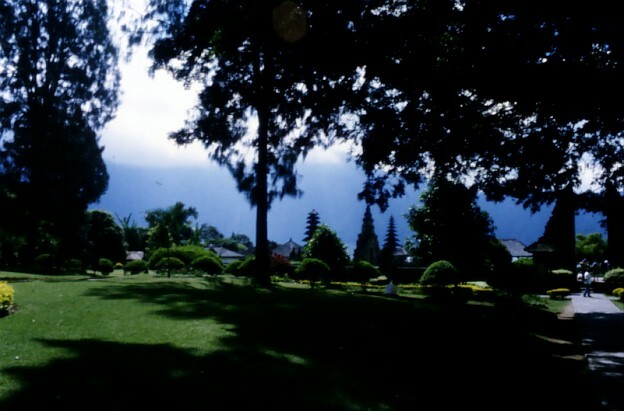 The temple is surrounded by lawns and gardens. 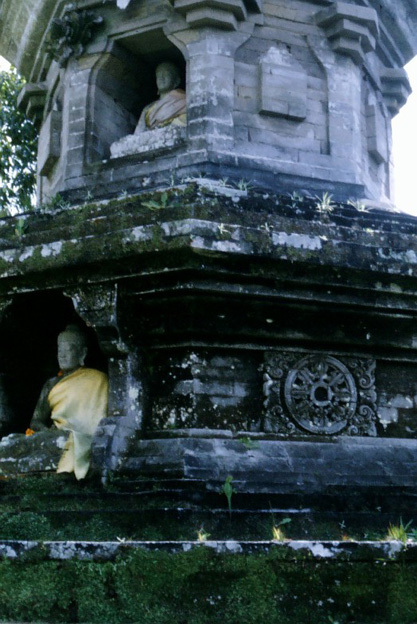 "Candi Kuning" means "The Yellow Temple". 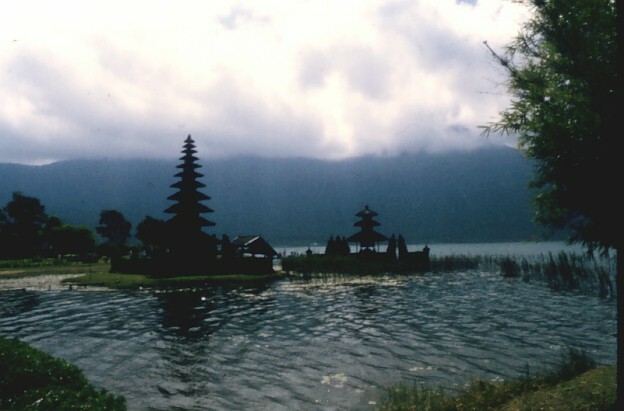 The Hindu-Bali temple sits on the shore of Lake Bratan, and even though it's popular with tourists, it's a very tranquil place, and the temple merus on the lake are definitely a sight not to be missed. 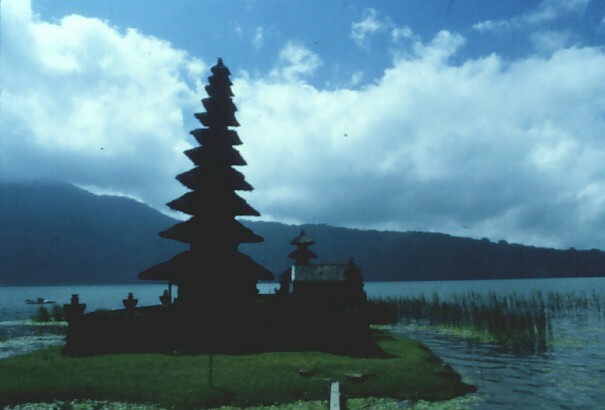 Everywhere you turn are gorgeous views of the temple beside the lake. There were some colorful outrigger boats pulled up on the shore next to the temple. 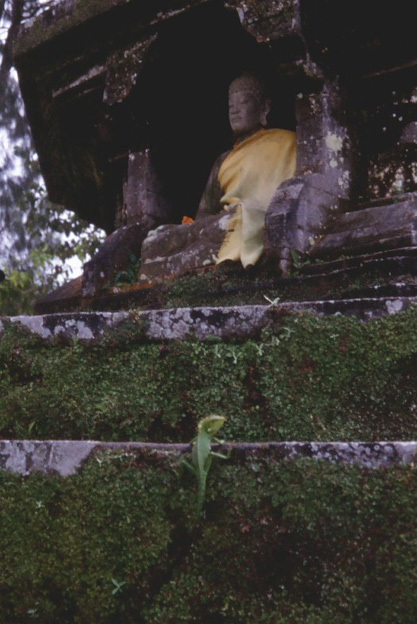 Also on the same grounds is a Buddhist temple. They seem to coexist quite naturally. 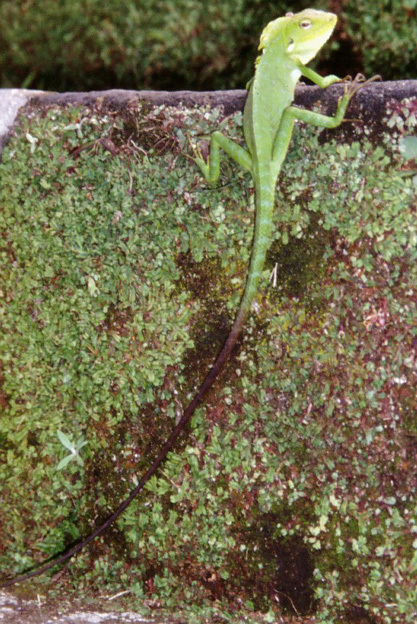 If you look carefully you can see a green lizard on the steps of the temple. 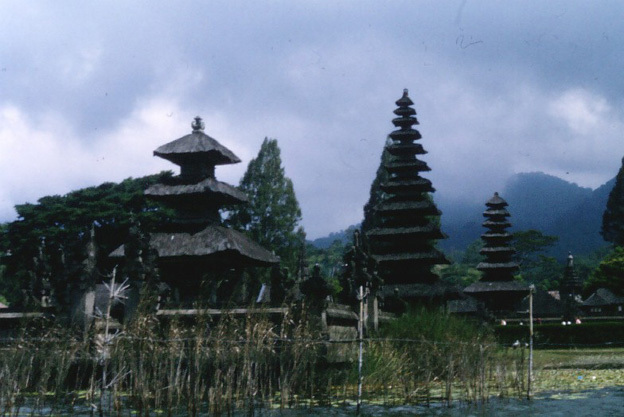 More views of the Hindu-Bali temple. 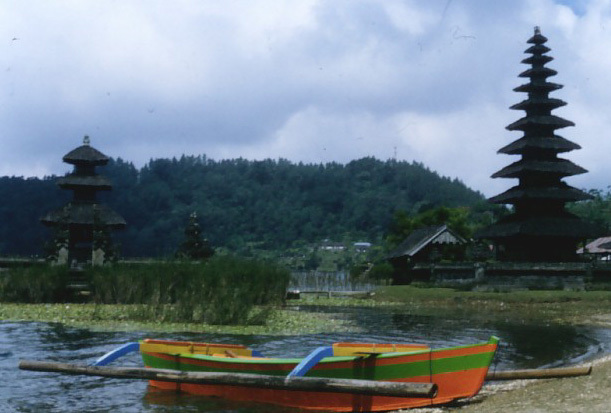 We found that you could actually rent the boats, so we all went out on the lake for a short paddle, and to see the temple from the water. We had lunch at a very expensive and unremarkable restaurant on the grounds of the temple - obviously geared for tour groups - and then continued north.